In a region where most properties hardly exceed 10 hectares, Troplong Mondot (founded in the 17th century) expands over 33 hectares, as one of the major estates of Saint-Emilion. 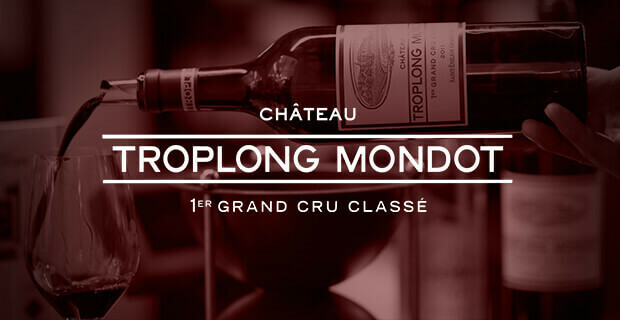 Château Troplong Mondot, a First Classified Growth, is considered to be at the top of the Saint-Emilion appellation, with its blend comprising 90% Merlot, 5% Cabernet Franc and 5% Cabernet Sauvignon. Originating from a great clay-limestone soil, the wines of Troplong Mondot are known for their complex tannins that bloom over time with deep aromas of black truffle. Christine Valette-Pariente and her husband Xavier Pariente have managed the estate together since 1980 and have achieved excellence through these powerful and finely structured wines. The wines of the estate offer ample and complex tannins, along with truffle and blackberries on the nose. Following the takeover of Château Troplong Mondot by the SCOR group in 2017, Aymeric de Gironde, former General Manager of Cos D'Estournel, became president of the property’s board and set as his goal to make Troplong Mondot one of the of the greatest wines of the world. 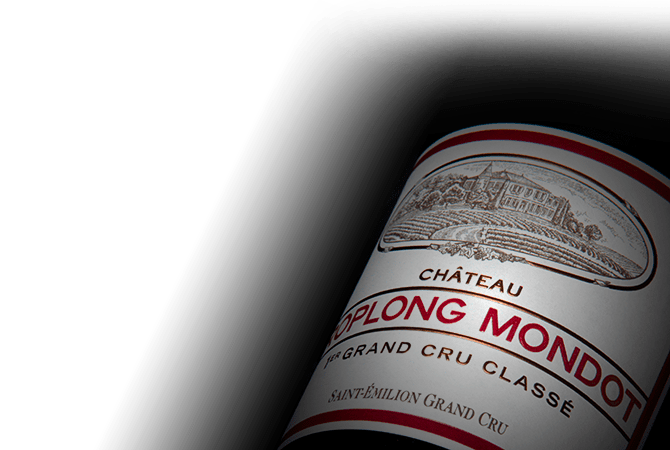 Perched atop the plateau of Bordeaux's prestigious Saint-Emilion appellation, Chateau Troplong Mondot is an estate classified Premier Grand Cru Classe B with a rich story to tell. Dating back to the 17th century, this property has undergone many changes, especially in the past few decades, to perfect a balance of tradition and modernity. Having adopted an environmentally friendly vision of viticulture, the team manages one third of the 33-hectare estate using organic practices, relying on draw horses and innovative methods to support the biodiversity of the soil. The flagship Left Bank varietals of Merlot, Cabernet Sauvignon and Cabernet Franc flourish on the unique Mollasses de l'Agenais soil, in vineyards situated on sunny, high-elevation slopes. The estate's signature Chateau Troplong Mondot wines present beautiful structure and intensity, along with rich aromas of truffle and blackberry. 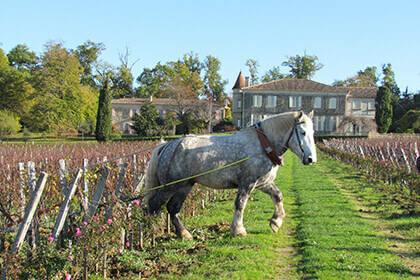 Back in the 17th century, the property now known as Troplong Mondot belonged to the aristocratic de Seze family, already known in Bordeaux for owning several other properties in Saint-Emilion. The magnificent chateau still present on the estate today was constructed by the family in 1745. A century later, the property was sold to Raymond Troplong, who gave his name to it and increased the size of the vineyard area to its current 33 hectares. Domaine Troplong Mondot was then briefly owned by a wine merchant by the name of Georges Thienpont, who sold the property after purchasing Vieux Chateau Certain in the appellation of Pomerol nearby. 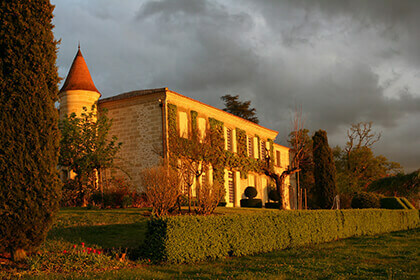 In 1936, the estate was acquired by Bordeaux negociant Alexander Valette, whose family it would remain in until 2017. When Christine Valette took the helm as manager of the property in 1980, she began a lengthy campaign of changes in the vineyard. It was during her tenure that the vineyard team stopped harvesting by machine and waiting longer into the season to harvest to ensure optimal maturity in the grapes. Yields were reduced by switching from single to double Guyot pruning to concentrate flavours and aromas in the fruit, and the remaining Malbec vines were removed to give way to more Merlot. In 1985, the team created a second wine, called Mondot. Christine Valette also hired Michel Rolland and then Jean-Philippe Fort to consult at the estate. During this time, major changes were introduced to the winery, including an investment into new and improved sorting technology, the purchase of more new French oak barrels in which to age the wine and the addition of 11 new stainless steel vats to make parcel-by-parcel vinification possible. Such major changes clearly shined through in the wines of Chateau Troplong Mondot, especially in the famed vintages of 1989, the stunning 1990 and the 1998. In 2016, the estate was promoted to the esteemed Premier Grand Cru Classe B status. Xavier Pariente, in collaboration with winemaker Jean-Philippe Fort, worked with Claude and Lydia Bourguignon, leading specialists in the sustainable development in soils. The team conducted studies to identify new ways to restore the biodiversity of the soils. After Christine Valette passed away in 2014, Xavier Pariente took over managing the estate, until it was sold to the French insurance company SCOR in 2017. Recently, Aymeric de Gironde crossed the Garonne from Cos d'Estournel in the Saint-Estephe appellation to take on the role of CEO at Chateau Troplong Mondot. Inspired by the rich history and flawless terroir of the vineyards, de Gironde plans to continue the estate's impressive improvements with the aim to produce one of the best wines in the world. Among the many stand-out qualities of the estate’s terroir, the new CEO sites the unique Molasses de l’Agenais soils as key to achieving this goal. The 33-hectare vineyard of Chateau Troplong Mondot is situated at the top of the Saint-Emilion plateau and its slopes, with its highest point reaching over 100 meters. This represents one of the highest points in the appellation, providing stunning views over the entire town. The vineyards are situated on the gentle southwest facing slopes and sharp south-facing hills extending to Chateau Pavie. In this area, the vineyard enjoys optimal sunlight and perfect natural drainage. The cool terroir also contributes to the later ripening of grapes, making the harvest at this estate one of the last in the appellation of Saint-Emilion. The vines - 90% Merlot, 8% Cabernet Sauvignon and 2% Cabernet Franc - are planted in a unique soil, known as Mollasses de l'Agenais, consisting of deep limestone deposits beneath thick layers of clay, and sedimentary bits of limestone and flint. Due to relatively recent replanting aimed at reducing yields, the average age of the vines is around 30 years. However, the estate also boasts some vines planted in 1926 and others planted between 1947 and 1948. The vineyards are managed using methods of traditional viticulture combined with an eco-friendly approach, which eliminates the use of chemical fertilisers, pesticides and herbicides. Several practices are used to reduce yield and enhance the ripening of the fruit, including de-budding in the spring, de-leafing in July and crop thinning. Around one-third of the total vineyard is managed using organic techniques. In fact, eight horses have recently replaced tractors, ploughing the soil without compacting the soil too much and allowing it to breathe better. Following the philosophy famously put forth by Claude and Lydia Bourguignon, the team at Chateau Troplong Mondot puts endless care into maintaining the biodiversity of microorganisms and other living things in the soil in order to maintain a healthy ecosystem amidst the vines. While traditional methods are largely maintained in the vineyards, the state-of-the-art winemaking facilities at the Troplong Mondot winery really point to the team's focus on bringing the estate into the modern era. The facilities began a massive renovation in 2007 and the introduction of brand new optical sorting technology with the 2011 vintage. The grapes are hand-harvested and destemmed completely. The vinification of 80-85% of the fruit takes place in temperature-controlled stainless steel vats. Beginning in 2009, the winery also began micro-vinification on some of the harvest, which now accounts for 15-20% of the total. Cold maceration and alcoholic fermentation, in this case, take place in 600 L barrels. The wine is then added to regular barrels for malolactic fermentation and maturation. Among these French oak barrels, around 75% are new and 25% are of one previous wine. The wines age for 12-24 months, depending on the vintage. The wines of Chateau Troplong Mondot have become known for the power and richesse they reveal on the palate, and for the perfect balance between intensity, freshness and elegance. The tannins are pronounced and complex. On the nose these wines exude dark black fruit - ripe plums, blackberries, dark cherries and cassis - along with notes of truffle, liquorice, coffee and chocolate. The non-eroded Mollases de l’Agenais soils of the Saint Emilion plateau gives the wines a beautiful freshness and minerality that is truly unique in this appellation. In order to best express this complex bouquet of aromas and flavours, the wines of Troplong Mondot should age in bottle for a minimum of 8-10 years (depending on the vintage, of course). These wines tend to go fantastically with classic meat dishes, including roasted lamb, grilled veal, duck or game. 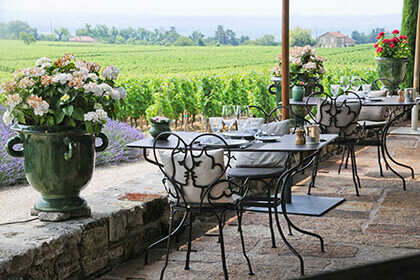 In an effort to reach out to visitors of Saint-Emilion and show them the unique art de vivre so characteristic of this region, the Troplong Mondot estate also established a wonderful restaurant, named Les Belles Perdrix, in 2012. In just four years, the restaurant received its first Michelin star. Chef David Charrier welcomes guests with an inspired menu, highlighting the estate's wines and the bounty of the local terroir. Located just next to the cellar, the restaurant's cosy dining room is the perfect place in which to enjoy a meal expertly paired with Chateau Troplong Mondot wines, as is the sunny terrace overlooking the vines.